Hey my loves! 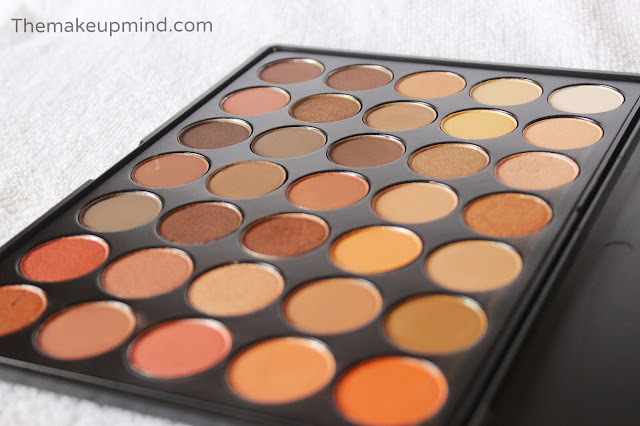 I bought the Taos cosmetics neutral palette immediately it was launched because I saw a photo of it before and knew it would be an exact dupe of the ever so popular Morphe 35O palette and guess what? It is! Best part is that its also a lot cheaper. 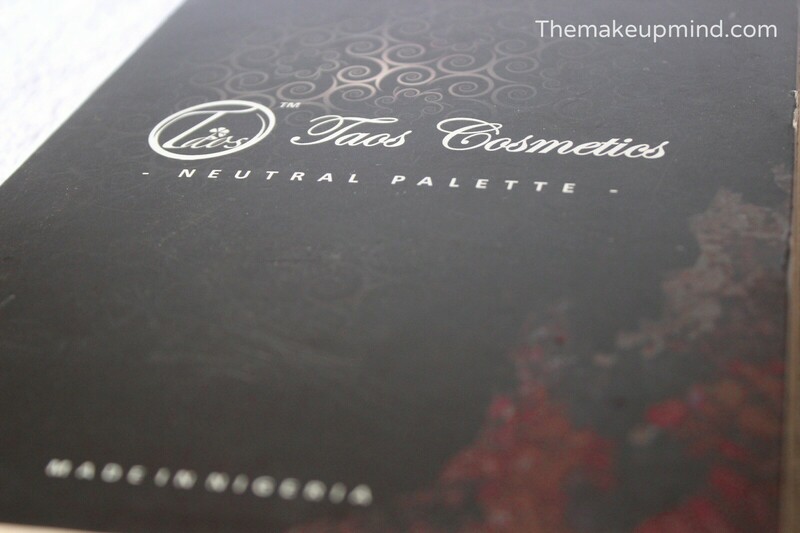 This palette has a wide range of neutral eye shadow shades and it consists of consists of 21 matte shades and 14 shimmer shades. Most of the shades I have used are very pigmented and pretty. What I love about this is that it has several eye lid shades, transition shades and highlight shades which are very important in eye shadow application. 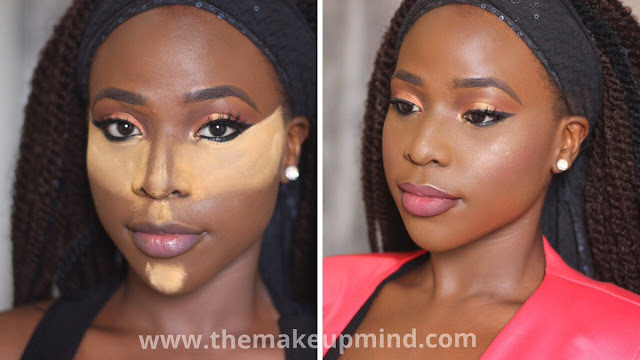 The only shade I think is missing from this is a black eyeshadow. 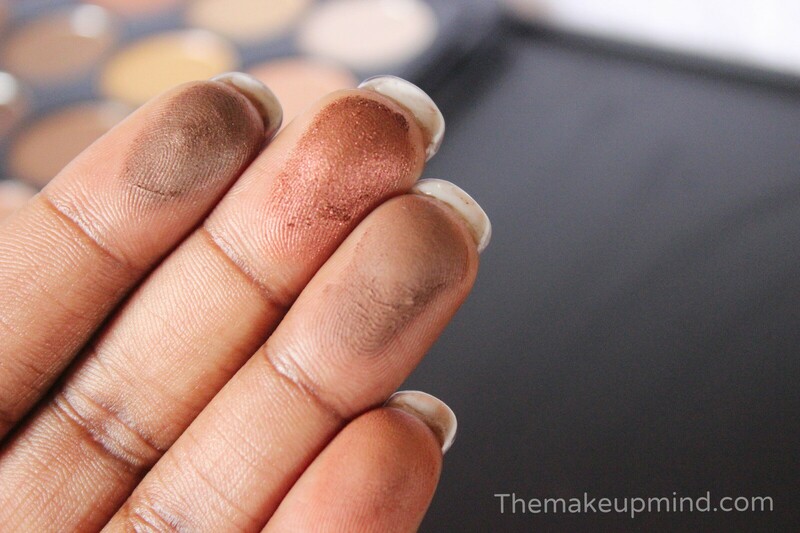 Just in case I want to transition from a day look, to a smokey night look. I'm particularly in love with the orange shades in this palette as they go from dark, medium to light. 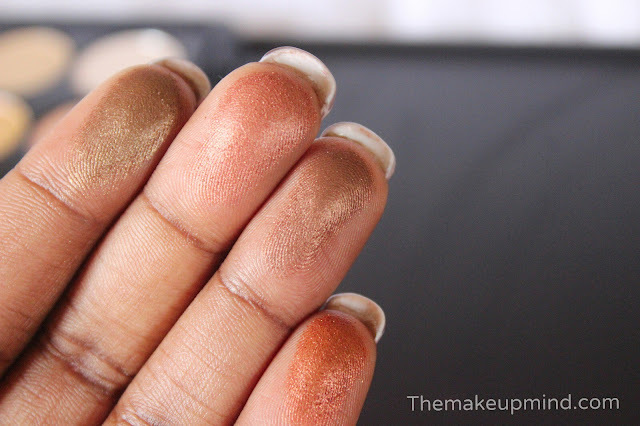 See swatches of some of my favorite oranges, browns and golds below. 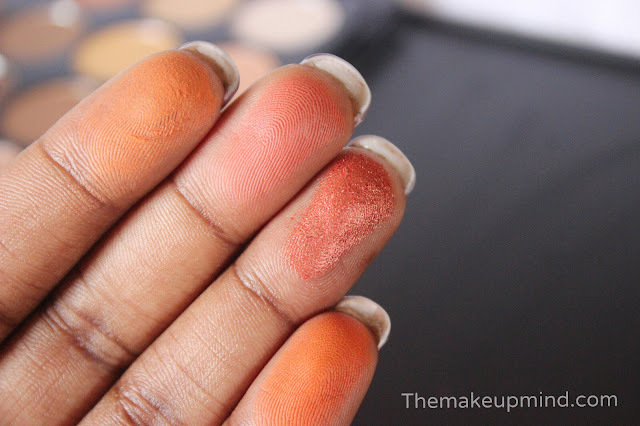 Although, most of the shades are very pigmented and easy to work with, there are about 5 of the matte shades that I've had problems with their application. Its a palette of 35 and if just 5 eye shadows don't perform too well, then that's a pretty good product. 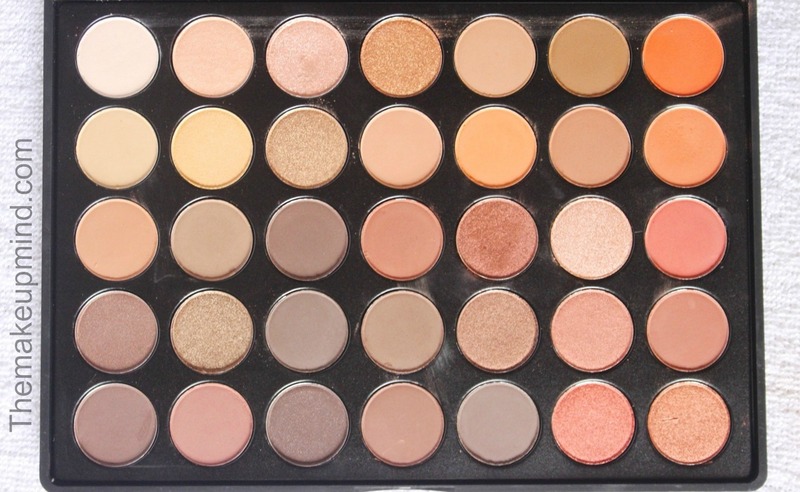 I particularly wish this palette came with a mirror though, just to make its use a lot easier. Overall, its a really good palette with 35 eye shadows and at the price at which it goes for, this is a pretty good bargain. 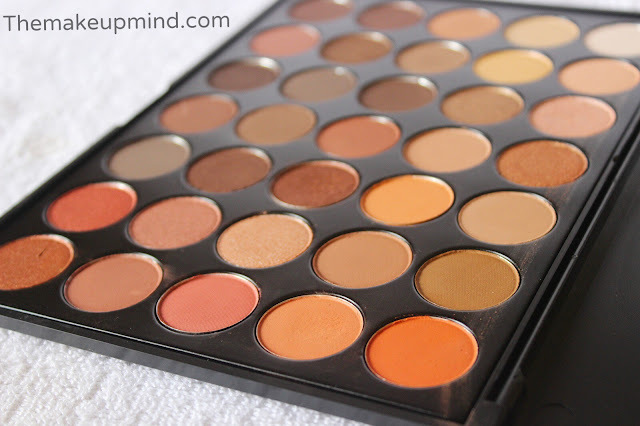 In case you ever wanted to get your hands on the Morphe 35O palette and you couldn't, this is an opportunity to get it at a much cheaper rate. But they are currently sold out.. This liquid velventines are dah bomb dot com. Try edit the URL for Taos on this post dear.. Thanks a bunch for the review. I have to get this once its back in stock. can't wait.